*Free structure handle, anti-violence opening, thicker than ordinary ones in market. *Plastic cover treated for anti-scratch by card-swiping. 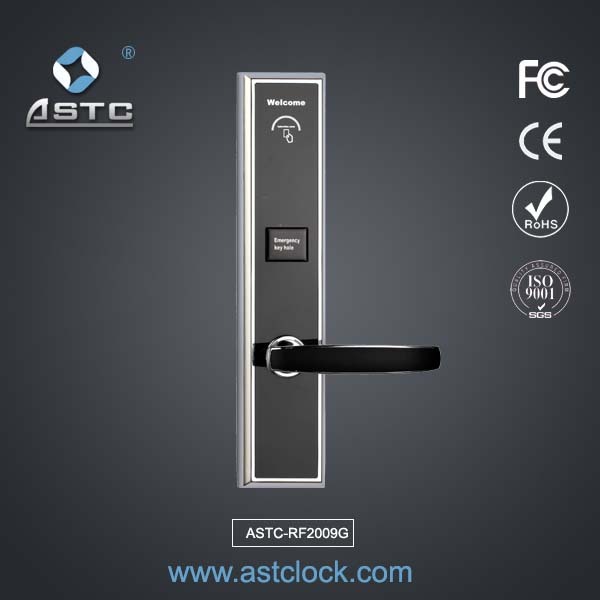 *2mm built-in steel panel to reinforce solidity of lock and reliable anti-burglar. 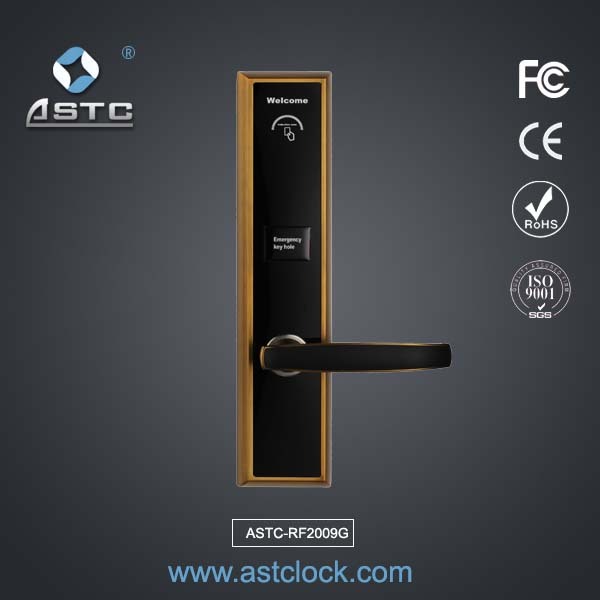 *Suitable for hotels, high-grade offices and households use. 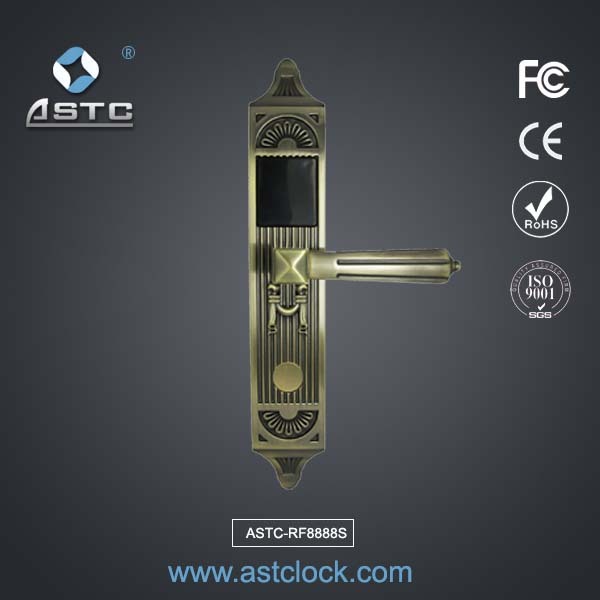 *US standard five-latch mortise with anti-pick function. 1. 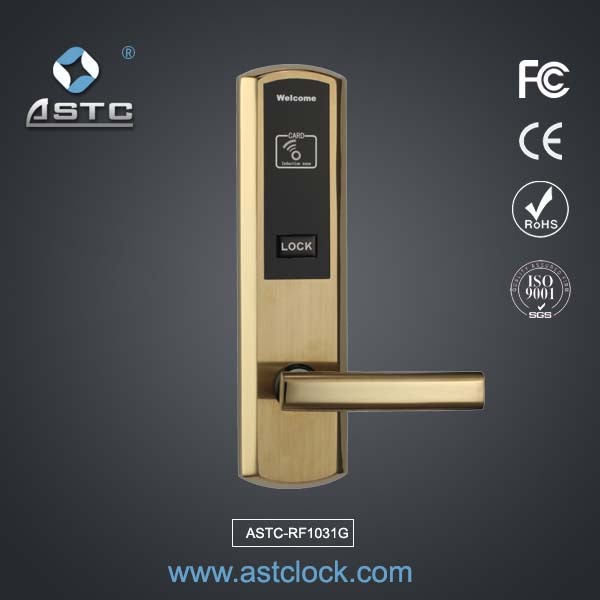 Hotel Deadbolt lock ,American standard,Stainless Steel. 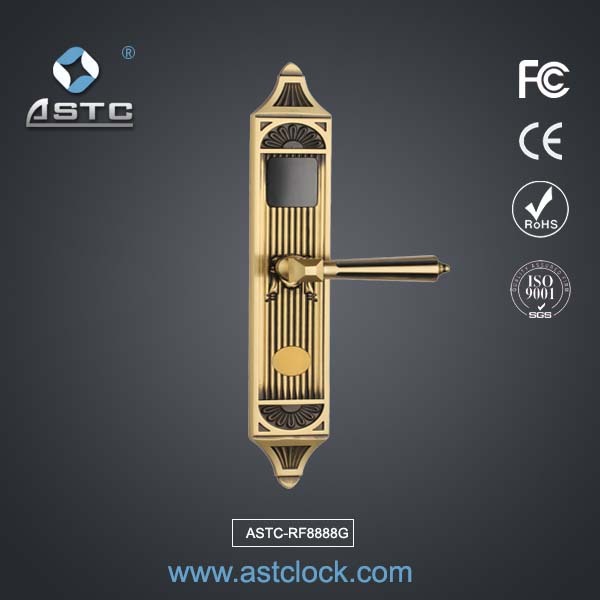 option in 2# European standard mortise, 3# Chinese standard mortise. 6. Door alarm for not closing properly. 7. Option finishers in PVD gold or Satin Steel. 8. Dead Bolt in back plate. 9.4pcs AA NO.5 battery, can be used for one year, 10,000 open door times. Size of panel: 287*73mm, weight: 3kgs. 5. Experienced technical service: Any technical demands or special requirement supply . 6. After-sale service: 2 years warranty. 7. Certificate: CE, MA inspection report, FCC, RoHs, ISO9001.